I seem to have gone AWOL the past couple of months, with not much time for reading or writing at all sadly, which is why this is a double-edition Reading Round-Up. 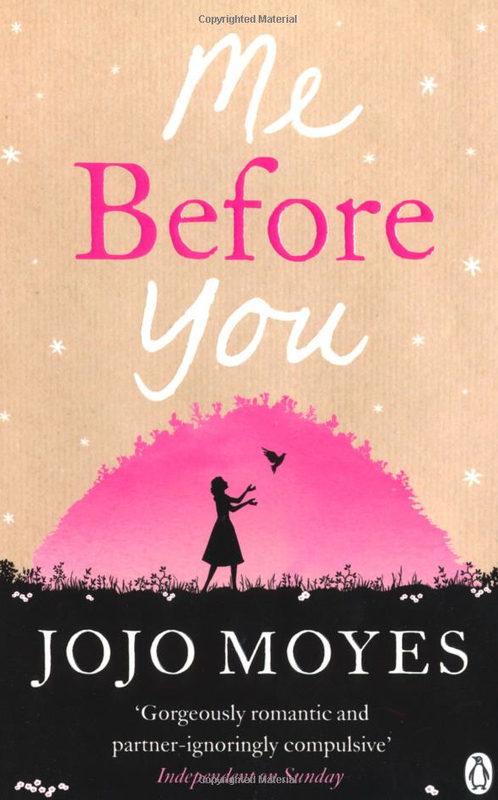 In February, I managed to read a rather depressing sum total of ONE book – Me Before You by JoJo Moyes, although even that is stretching it a little as most of that was listened to in January. I got about halfway through A Fine Balance by Rohinton Mistry but decided to put it back on my shelves for a while as I kept picking it up for 20 minutes here or there and not really giving it the attention it deserves. I also took part in the Literary Blog Hop Giveaway and sent out my prize of Tigers in Red Weather to a lucky reader. I honestly cannot remember what else I got up to in February, aside from working a whole heap and flat hunting! Thankfully, the flat hunt is now over and March has been a quicker month reading-wise. I also managed to attend a great event at the wonderful Looking Glass Books bookshop in Edinburgh’s Quarter Mile, the launch of the 4th edition of The Istanbul Review, a literary journal based in both Istanbul and Edinburgh. Elif Shafak did a reading from her novel The Forty Rules of Love and did an audience Q&A, speaking eloquently on all things from Turkey, free speech, spiritualism, gender equality and writing. There’s a great review of the evening over on the Writer Pictures website. Shafak’s novel Honour is sitting on my Wish List at the moment – I will be reading it soon I hope. It was such a lovely evening, and if you’re in Edinburgh, do check out Looking Glass Books’ event calendar as there is always loads going on! I’m currently reading Jamrach’s Menagerie by Carol Birch and listening to The Son by Philipp Meyer on audiobook and although both are quite different (The Son is pretty brutal!) I am really enjoying both of them. 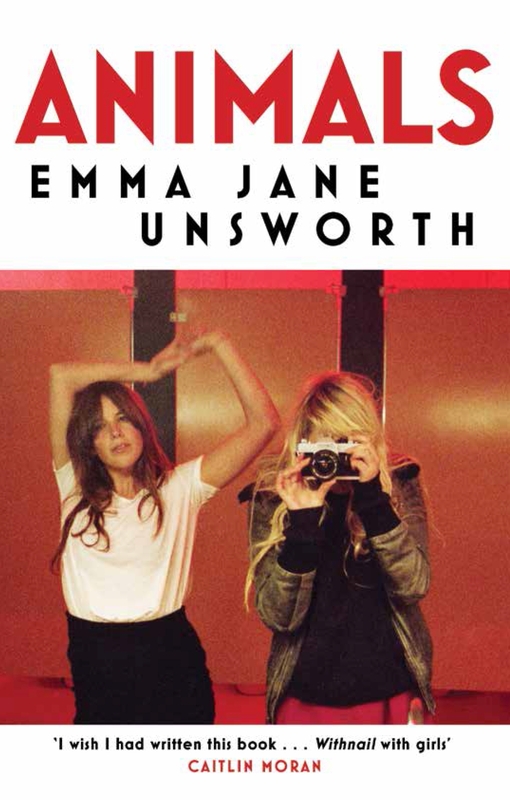 I haven’t got any major reading plans coming up but I do hope to get around to reading The Luminaries at some point – one of my book club buddies also has it on her bookshelf so it would be great to suggest this as our next title. 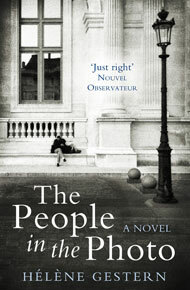 I’m still half-way through my review of The People in the Photo which I will complete soon hopefully. In April, I’m looking forward to moving house mainly! I’ve cleared out many books already and I feel that I’ve been fairly ruthless by my standards so far, although my boyfriend may not agree… I’ll also be attending London Book Fair for the first time, and no doubt reading loads in preparation. Another busy month is ahead but I’m looking forward to getting in to the spring. Hopefully the weather in Edinburgh will get in gear soon and catch up! I am so pleased to announce the winner of my giveaway for The Literary Blog Hop! 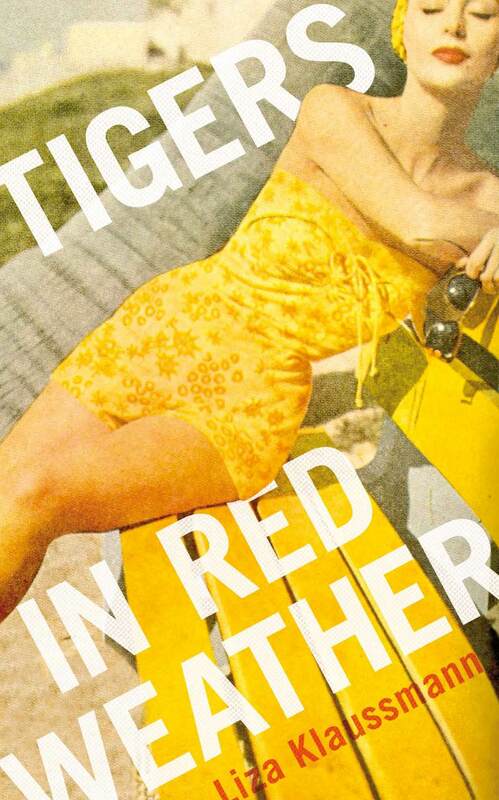 Diana S. won a copy of Tigers in Red Weather by Liza Klaussman. Congratulations! I hope you enjoy it as much as I did. I had such an amazing response to the giveaway with over 80 entrants and lots of lovely comments – thank you to everyone who took part. Life After Life was definitely the most popular choice (with almost 50 entries), but I was pleased to see so much interest in The Panopticon as well. And one last thank you to Judith over at Leeswammes Blog for all of her hard work making the blog hop happen! So, our book club has been plodding along with just three members – it’s not so much a book club now, more an excuse to chat about books and find time to meet up for a good gossip. I’d mentioned Me Before You a couple of times when my friend had asked for reading suggestions as I’d heard it was good – I bought it for her for Christmas and she suggested it as our next book club read. I downloaded the audio version of the book – all 16 and a half hours of it. Needless to say, both of my friends finished the book long before I managed to! ‘Lou Clark knows a lot of things. She knows how many footsteps there are between the bus stop and home. She knows she likes working in The Buttered Bun tea shop and she knows she might not love her boyfriend Patrick. I really enjoyed listening to it, the story was good, the characters believable and down-to-earth. It has a good story and deals with some difficult issues – would you want to keep living if you knew you would never be able to walk again, or even lift a cup to drink, make love, dance? This is the plight of Will Traynor, previously a hot shot investor, who now faces life as a quadriplegic. And how do you find the courage to be sure that your life is not enough? To tell a partner that you might not love them anymore? Lou is laid off from her job at the tea shop and has to face the job centre, their suggestions of retraining, working in a chicken factory, and even (I found this a bit far-fetched) as a pole dancer! Lou eventually takes a job as Will’s companion, asked by his mother to try and cheer him up a bit without knowing quite the magnitude of the task she is taking on. She is also battling with problems at home – at 26, she still lives with her parents in a small house with her sister, nephew and granddad who needs lots of care following a stroke. There isn’t much money to spare in the Clark household so there is an immediate clash between Lou’s life and the type of life Will had been accustomed to, coming from a very wealthy family who take regular skiing trips, go to fancy dos and have thousands of pounds idling in their everyday bank accounts. To begin with, Will is slightly cold towards Lou, uncomfortable dealing with someone having to help him all of the time. Lou grins and bears it, trying to make the most of it as she cannot afford to lose this job. As time goes on, they grow to tolerate each other, and then their working relationship turns into friendship, as they come to rely on each other more and more. There is lots going on in the book, but the warmth for the characters carries you through. Lou is the main narrator during the story, and although I found her narration warm and funny, and full of the everyday worries that constantly trouble us, I enjoyed the occasional break in narrative, as one of the more minor characters took over. I wished we heard more from Will though, to find out more about what is going on inside his head, how he copes mentally and emotionally with the consequences of his accident. In some ways this story is more about Lou though, and the profound effect that meeting Will and being exposed to his situation has on her. 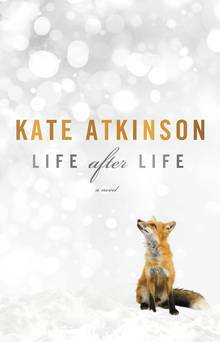 It was a good, easy listen, but one that deals with lots of issues – it’s certainly a great book club read as it generates a lot of discussion on how one would cope with becoming quadriplegic. I’m looking forward to discussing this with the girls! Over the next couple of days I will be taking part in The Literary Giveaway Blog Hop, which is kindly hosted by Leeswammes’ Blog. This time, 42 different book blogs will be offering giveaways of various literary delights, and all of the treats on offer will be literary fiction. From today (Saturday 8th of February) until Wednesday the 12th of February, you can hop on over to the different book blogs which are all taking part in the giveaway too. Click on the links in the list at the bottom of this post to see what they’re offering and discover some brilliant new book blogs! I will be giving away one book from the selection above to the lucky winner so please do let me know which book you would like to receive in the comments below. To enter, please leave a comment below with your email address – after the competition closes I’ll pick a winner using Random.org and notify the winner by email. 1. You do not have to have a blog to enter this giveaway – it is open to everyone. 2. You need a post-office recognised address where you can receive packages, in a country that The Book Depository delivers to. 3. You do not have to be a follower or become a follower, although if you like my blog I hope you will! You can follow by email (see the Follow button in the side bar on the right). 4. Leave a comment below – please include the title of which book you’d like to receive in your comment and an email address where I can contact you if you win. 5. You can enter the giveaways until Wednesday, February the 12th, after which I will close my giveaway. 6. Please note that double or invalid entries will be removed. 7. I will notify the winners by email. If you’re lucky enough to be a winner please answer my email within 3 days; if no reply is received by then I’ll announce a new winner. 8. The books will be sent out from The Book Depository. I think that covers everything – good luck, thank you for dropping in on my blog and I hope to see you again soon! But, I have managed to read quite a few books despite that (the January social calendar is usually pretty slow! ), as well as catch up on a couple of films and TV series I’ve been wanting to watch for a while. I’ve been watching the first three seasons of Downton Abbey which is wonderful (it’s become a bit of an obsession) – I can’t quite believe it took me so long to get into it! I’ve also been watching season 2 of the quirky and clever Swedish/Danish crime series The Bridge, I think the characters have developed even more and I’m really enjoying it. What else? Sherlock! I loved the first and third episodes in the new series (wasn’t so keen on the second one) but it’s all over already – how long do we have to wait until the next series, hmm…? In February, I’m mainly looking forward to the gradually lighter mornings, taking part for the second time in the Literary Blog Hop Giveaway (running from the 4th-8th of February), watching the film adaptation of The Book Thief, wine tasting at Divino Enoteca and tree top climbing at Go Ape. What about everyone else? Got any exciting plans coming up in February? 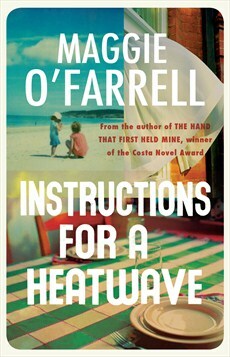 Instructions for a Heatwave is another book that seemed to have a lots of buzz about it in 2013 when it came out (see my recent review of Stoner by John Williams for all the buzz about that). 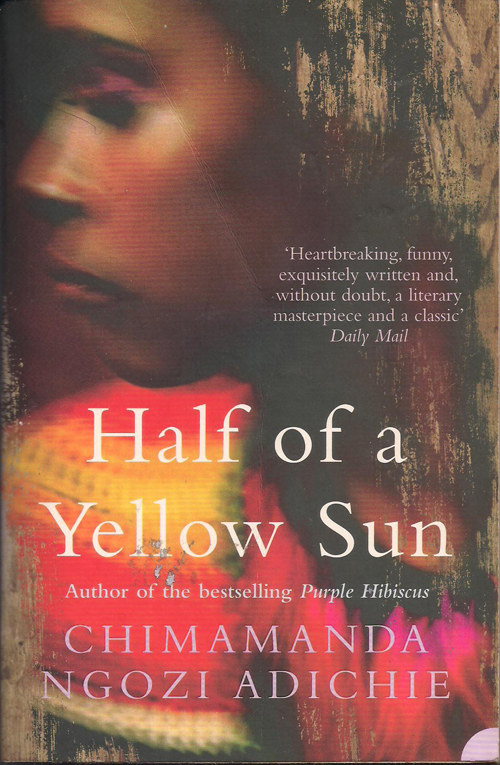 Originally published in hardback at the beginning of the year, the paperback followed fairly quickly and was published in the same year (it was picked for the Richard & Judy Autumn 2013 Book Club). Maggie O’Farrell is a writer that, for me, seems to straddle the gap between chick lit (brr, horrible term) and literary fiction – I read her novel The Hand That First Held Mine (which won the Costa Novel award in 2010) a few years ago and although I enjoyed it, I found it lacking a certain je ne sais quoi. I’m sorry to say that Instructions for a Heatwave left me with a similar feeling of ‘meh’. The story starts out well, setting the scene as Robert disappears, a normal morning, except the heatwave has been going on for weeks and people are starting to go crazy. The children start to gather back round the family home, and I particularly enjoyed the parts concerning Aoife who returns home from New York. It wasn’t a surprise to me after reading these sections that O’Farrell had been inspired and influenced by Colm Tóibín’s wonderful novel Brooklyn. The other characters just didn’t feel fleshed out enough however, and I wanted more depth to them. For example, Michael Francis’s relationship with his wife, and in particular her breakdown, just didn’t seem real to me – it felt like his ‘problem’. Because each of the characters has to have a ‘problem’. For Aoife, it’s her learning disability which she feels ashamed of and tries to hide; for Monica, (she gets two) it is her struggle to endear herself to her stepdaughters, and the secret of why she split from her first husband, Joe; and for Gretta, it’s a secret that she’s been hiding from everyone for quite some time and isn’t ready to reveal yet. I wanted there to be fewer characters to focus on, or more time to spend with them to find out what made them tick. I wanted the heatwave to make them act crazy, to do things they wouldn’t normally do and for the reader to be challenged a bit more. There are some nice episodes in it, and I do enjoy O’Farrell’s style of writing as it’s both lyrical and accessible. But the plot seems to get a bit lost in the characters’ various ‘problems’, and it seems to get completely forgotten at points that their father has gone AWOL and, in fact, there seems to be a general lack of sentimentality when they talk about him, poor man. He is but a plot device to bring the family back together and to bring their secrets out into the open. What was his name, again? Stoner was one of last year’s publishing success stories. Originally published in the 1965 to a quiet reception (it received few reviews and went out of print the following year), it was revived in a new edition and given a new lease of life. I remember seeing all of the buzz about it on twitter last year and finding it quite astonishing that it was for a book published almost 50 years ago. It was even named as Waterstones Book of the Year 2013 which is certainly very unusual as this would have been expected to go to a book first published in 2013. John Williams died in 1994 so was sadly never able to witness the revival in popularity of this wonderful novel. I can see why this is considered a forgotten classic – it deals with both the First and Second World wars, the deterioration of the land in the American Midwest and at its centre, the life of an unassuming man, literary scholar William Stoner. It’s funny that nowadays historical novels spend so much time setting the scene, creating a sense of place and really making you feel as if you are in that historical period, making it worth all of the research into the time period. The joy of books that were actually written in the times they are set, or at least by someone who has lived through the times discussed, is that there is a natural ease in the depiction of a time because it is second-nature to them. I think that’s what I loved about this book the most, the quiet influence of history. And this is the story of a quiet man, who led a reasonably quiet life. 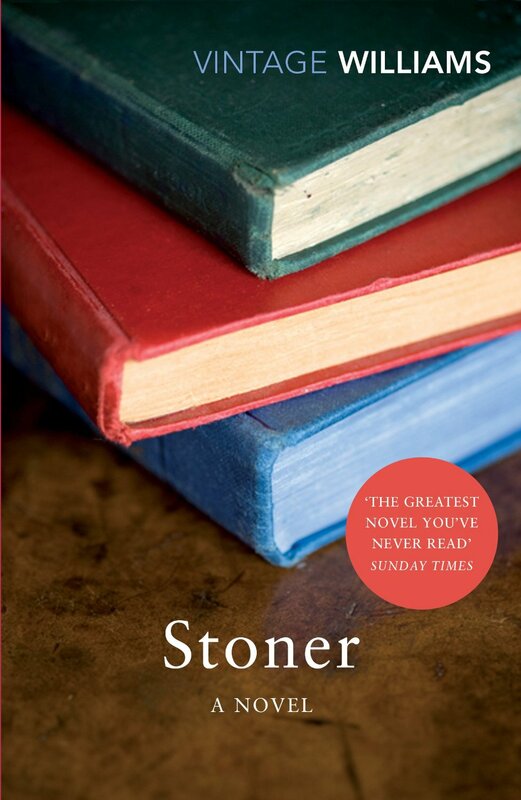 Stoner reads like an obituary for an ordinary and unexceptional man, which I think was wholly its intent. Stoner marries the wrong woman, Edith, who does not understand him or herself, inflicting her identity crises on him and making him a victim to her whims. He also deals with academic politics, being willingly passed over for important positions at his university as he is comfortable as he is. William Stoner is a quiet and unassuming man, an introvert, who can be at times so frustrating. He talks and doesn’t even realise that the words have come out of his mouth, or forgets what he has said after saying it; his words are inconsequential to himself, and so how can he expect them to be consequential or influential to others? He doesn’t have a feeling of self-worth, surprised that a publisher would be interested in publishing a literary criticism book he has spent years working on, and even more taken aback by the love and devotion shown to him by his daughter Grace in her younger years. Sometimes I wanted to shake him and shout at him to listen to himself, to stop being pushed around by his colleague and adversary Lomax, to tell his wife Edith to stop messing about with his and, even worse, their Grace’s life. He is passive, and although there are moments of triumph and small acts of rebellion, they seem minute in comparison to all of the wrongs that have been done to him. He is a sad and lonely man in the end, but I’m not sure how sorry I can feel for him when he didn’t do much to help himself. His life just passes by him, and even the love affair he has with a young student (one of the most fulfilling experiences of his life) is doomed to end as things weigh against him and he quietly gives it up. He doesn’t like to make a fuss. Isn’t that just the most depressing way to sum up life at that age? I know that when he was born, life expectancy was a lot shorter, more so for the agricultural stock he came from I suppose, but is that really an attitude to carry you through life? It’s an unjust life and I think that’s what’s hardest to deal with – he is a real man, a believable character, and one who stands for all of the people in the world whose lives may not have the gripping plot of a novel, but their lives are no less worth recording for it, are no less worthy of remembering. I think this is a splendid book and very much deserves its status as a classic. I’d love to discover some more hidden gems from the past, the unsung heroes and heroines of literature, the forgotten (or as yet undiscovered) classics. Do you have any books that you would like to shout about, and wish were given more praise? I remember being very taken with Catherine Carswell’s novel The Camomile about the life of a young woman in Glasgow in the early ’20s, trying to find her own identity in a society that isn’t quite ready for strong females. I’m not even sure it’s in print anymore, the edition I have was a local Glasgow press I think, printed as a short run partially to provide copies for university courses. If you can track it down it is very much worth a read, or there is her more well-known novel and still in print Open the Door! which (for shame!) I haven’t actually read yet but do have on my shelf!